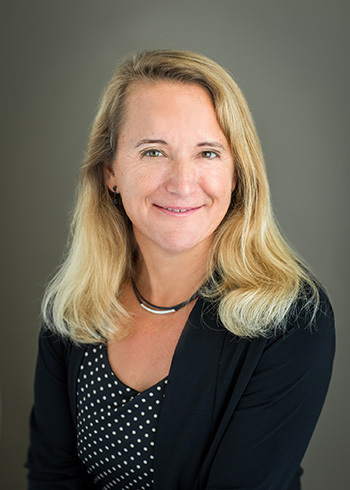 Lise Getoor, professor of computer science and engineering, will discuss "Responsible Data Science" in the 53rd annual Faculty Research Lecture at UC Santa Cruz. The lecture, which is free and open to the public, will take place on Tuesday, February 26, at 7 p.m. in the Music Recital Hall on the UCSC campus. Getoor's lecture will address the promises and challenges of data science, a field fast-becoming one of the strongest forces shaping society today and an area of expertise at the Baskin School of Engineering at UC Santa Cruz. Getoor is a data science legend. She’s given keynotes at major conferences all over the world before crowds of thousands of experts in areas as diverse as artificial intelligence, statistics, and database systems. Her lab created an open-source tool called Probabilistic Soft Logic, used for everything from energy disaggregation and hybrid recommender systems to the analysis of human trafficking. Data science aims to extrapolate useful data from the huge amounts of information created by modern society. Context, as Getoor’s work has revealed, is crucial. Most approaches to analyzing data require extracting information from one database and placing it in another (such as a spreadsheet), a process which can flatten intricate structures within the databases that might have revealed important insights. Getoor heads two major data science projects at UC Santa Cruz. In 2017, the National Science Foundation awarded a $1.5 million grant to Getoor and a group of other UCSC computer scientists, statisticians, and mathematicians as part of the Transdisciplinary Research in Principles of Data Science (TRIPODS) program, an effort to develop the theoretical principles of the field. Getoor’s group looks at the challenges of incompleteness, uncertainty, and bias in large, heterogeneous sets of interconnected data. Getoor also directs the D3 Data Science Research Center at UC Santa Cruz, a collaboration between academia and industry designed to develop open-source tools for collecting data, discovering patterns, and making decisions. Collaborations are also important across disciplines, particularly with respect to the ethical and social concerns. As the risks and benefits of insights developed by data science spread through society, Getoor sees a growing need for data science literacy and recognition that there are serious limits to what algorithms and artificial intelligence can achieve. Getoor said she hopes her lecture will prompt a broader conversation about data science within society. Parking for the event at the Performing Arts Complex is $4. For disability related accommodations, contact senate@ucsc.edu.